Italian police have arrested an African immigrant after the man went on a rampage through four Roman churches, demolishing statues and knocking over candlesticks and reliquaries. 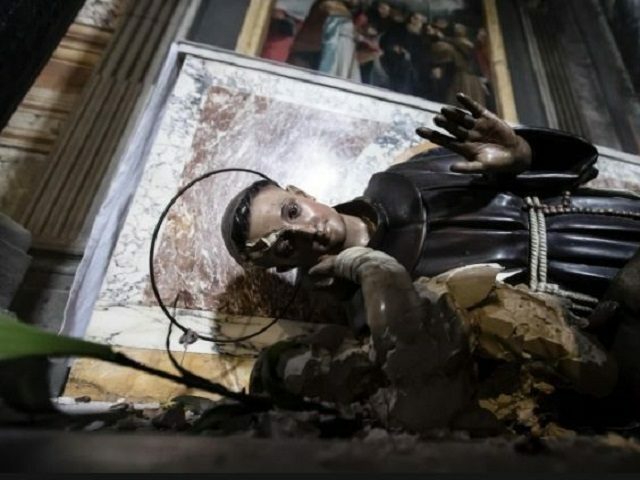 The 39-year-old Ghanaian began his destructive spree on Friday evening in the church of San Martino ai Monti, where he shattered a statue before being confronted by the parish priest, after which he fled the premises. Soon afterward the man entered another church full of visiting pilgrims, the ancient Basilica of Santa Prassede, where he demolished the statues of the church’s patron as well as a statue of Saint Anthony, throwing them to the ground and then stamping on them and kicking them. He overturned other sacred objects as well, ripping a large crucifix from the wall. The assailant was on his way to destroy the crucifix on the altar when Father Pedro Savelli, rector of the Basilica, grabbed him by the leg. “At least that I managed to stop him from doing that,” the priest said. 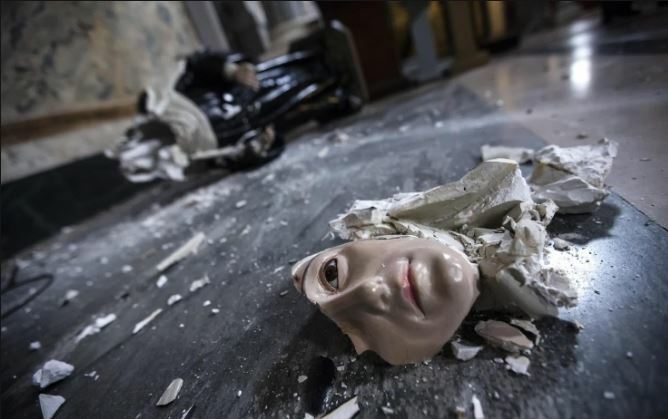 The immigrant continued his marauding on Saturday, vandalizing another ancient church, that of San Vitale, before continuing his ransacking at the church of San Giovanni dei Fiorentini in Piazza d’Oro. The damage done at San Vitale was the most serious of the four raids, with several precious statues irreparably damaged. Based on descriptions provided by witnesses, police were able to track the man down in Rome’s historic district, and arrested him on charged of vandalism with the aggravating circumstance of religious hatred. The exact motives of the man’s attacks are still unknown and reports in the Italian media refrained from disclosing the man’s religion. The population of the African nation of Ghana is 71 percent Christian and 17.6 percent Muslim. During his last assault the man was wounded in the foot, so was taken to the hospital for bandaging before continuing on to Rome’s Regina Coeli prison.